Once upon a time in the early 1900s, New York City was the epicenter of nascent moviemaking. We can all thank Thomas Edison and his readiness to defend the holdings of his Motion Picture Patent Company with lawsuits if necessary for Paramount, Columbia, RKO and Warner Bros. all fleeing by 1912 to the fledgling L.A. area, where Edison’s patents could not be enforced, weather was superb for production the whole year round, and they could enjoy quick and easy access to a number of settings. The hands of inventive and ambitious European immigrants laid the foundation for an industry that would become the bedrock of attraction to America’s largest state. Funny, isn’t it? A boom driven by California’s economic advantages of cost-effectiveness gave rise to a culture of ambition, fame and wealth that has made Los Angeles one of the world’s most vital incubators of innovation, industry, art, and of course, all manner of entertainment. On the backs of industrious moviemakers, this is now the quintessential place to found and evolve a promising startup. Here’s why. It takes young, fresh minds to look deeply into the heart of persistent problems, see a solution that doesn’t yet exist, and ask themselves, “Why shouldn’t I try this?” There’s nobody better to see such visions forward as newly educated men and women who for whom this world’s deepest-rooted afflictions represent not only the present but a disappointing future for them and the generations to follow them. Those are the true believers any entrepreneur should want on their front lines championing their products. You can only travel so far without a crew committed to the same hunt that gets you out of bed every morning. Los Angeles is a city built by bold mavericks who went their own way because they envisioned a better, different way to do what they loved. Now, across the great state of California, every institution listed above and dozens more turn out graduates every year with a mark they want to leave on the world. If you want to get your product noticed, make sure it turns the heads of people who turn heads. The sports and entertainment industries are far and away two of the richest and most influential in America, spectacles of exceptional beauty, athleticism and artistic flair bestowed upon a minute fraction of society. The worlds of television, music and film are always on the move with eyes toward the future. 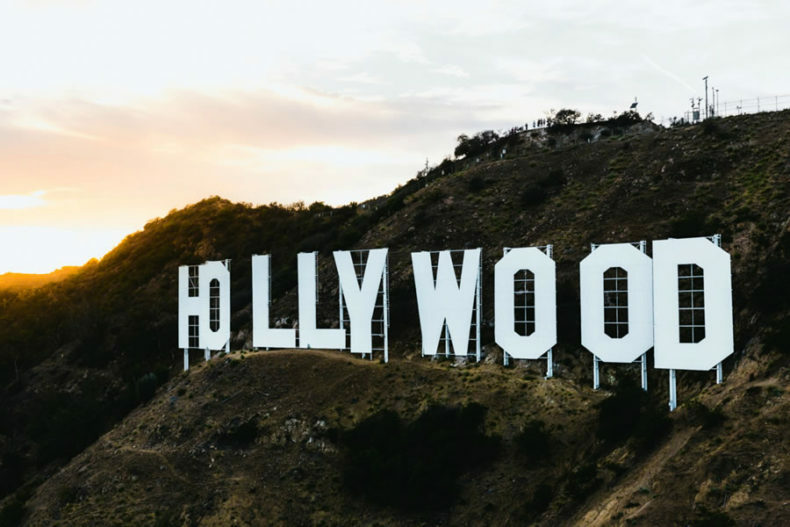 Be it talent or technology, Los Angeles or L.A. to the locals, is a metropolis obsessed with the newest thing destined to shape the cutting edge its celebrity-driven citizenry inhabits. The bad news is, you may have the disadvantage of starting out as an insignificant fish in an ocean that seems to span the planet. Here’s the good news: if you have the persistence, you have the Law of Averages on your side. There will always be someone new to try to coax behind your vision because there will always be a tsunami of driven individuals making landfall on the shores of southern California looking to strike gold of their own. Remember, success in entertainment is always about being on the tip of the spear, riding the next game-changing wave. Success in business is no different, especially if you lose sleep every night overcome with new ways to approach aggravating problems nobody will touch. By all means, go your own way. Just know that there’s a reason so many success stories lie in along the same path: because it works. San Francisco has Silicon Valley. Los Angeles has Silicon Beach, the homeland of Snapchat, Google, YouTube and other brands with bold blueprints for improving the way we see the world and live in it. Of all the reasons you should make your startup’s stand in Los Angeles, this may be the strongest: at worst, you build your fortune on the status quo and better learn the rules of entrepreneurship from the masters who re-wrote them before you yourself can look for ways to successfully break them; at best, you have an idea that makes an impression on brilliant minds and you find yourself standing on the shoulders of giants as the latest startup to sell itself for an improbable windfall to a groundbreaking engine of invention such as Google. That’s a more verbose definition of “win-win” if ever there was one. There is no “land of opportunity” quite like Los Angeles. It’s an open-ended book where you can strike a vein of fame and leverage it into lifelong prosperity with a million new opportunities shooting up through the ground in your backyard, if you have the creativity to dream big, the fortitude to never accept being told “no,” and the determination to never forget what made you dive into this deepest reaches of the ocean without being sure you know how to swim. This is a city built on creativity, powered today by every form of innovation imaginable, and forever bent on originality. Go west, young man. And women. I read this and thought it might be something for you. The post is called Why Los Angeles Is The Driving Force Of Innovative Ideas and is located at https://motivationalspeaker.biz/why-los-angeles-is-the-driving-force-of-innovative-ideas/.